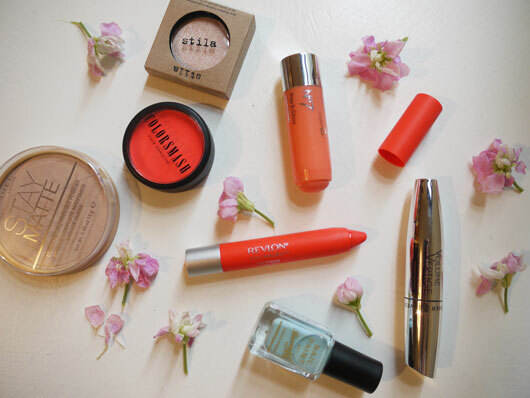 For me spring summer make up is all about easy & effortless. Sheer light coverage that doesn't make you feel caked in make up when its hot outside...well it is the UK so Ill settle for at least sunny outside. 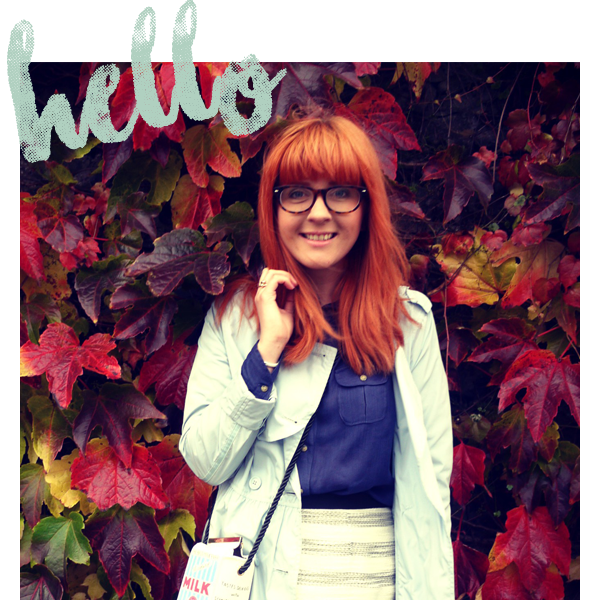 I know summer should be all about bronzers but being a (cough) fake redhead bronzed cheeks dont real suit me. Instead I opt for a cream blusher. My all time fav is this new No7 blush stick: Pop and Glow in Mango Sorbet. For powder I use Rimmel Stay Matte in peach glow all year round, its so affordable & the colour suits my skin tone perfectly. 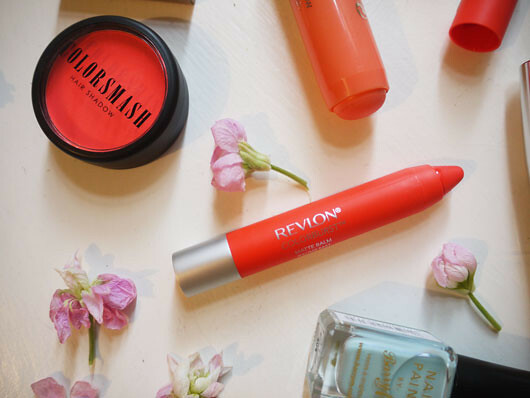 Ive always been anti lip crayons until I saw Emma Stone advertising this Revlon matt orange shade on the tv advert and I knew I had to have it. I think it'll look great with a shimmery neutral eye using my all time favourite eyeshadow ever Stila Kitten and maybe a little bright orange in my hair too? I havent tried it yet but I cant wait to see the results of Coloursmash hair chalk in Tango Mango. A new brand to me is Yves Rocher. Their volume vertige mascara is soooo good and my sister and I have become addicted to how long it makes our lashes look. Def a summer essential! Last but not least Ive been loving pastel blue on my nails. Barry M in Blue Moon is a lovely sheer pearly blue that with a few coats is a strong cornflower blue colour. love the color tones/colors of the mu your picked, so perfect for spring. I love that Revlon matte orange shade! I've almost bought it three times in the last week but I decided I should wait until my next pay cheque. haha. I've already went a little crazy with nail polish this month. I love the nail polish. It's such a pretty colour. I've been going bare faced a lot recently, the nice weather has made me want to get out of the house, and not stay in for an extra 10 minutes to do my face. 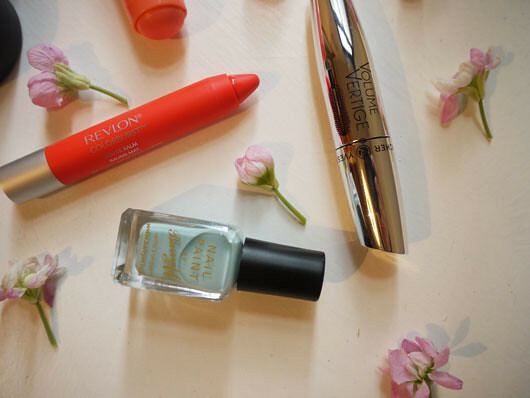 That revlon lip pencil is definitely on my shopping list - bet that colour looks great on you too! the colours are fantastic. i must buy orange lipstick.